It beggars belief that while Nine News is on top of the current news battle, Seven is fiddling -badly- with its own brand. A series of changes and seeming indecision is communicating all sorts of mixed messages to the audience. The latest involves a short-lived news theme for Seven News, but the brand problems stem much deeper. Last Monday Seven introduced new theme music across its bulletins. On social media it wasn’t well received, variously described by some as music “that you wouldn’t even play at a funeral,” “a bloody disgrace,” “lacks that recognisable part that all news themes have,” “a xmas fanfare,” “sounds like a cartoon” and more. Adjectives aside, viewers don’t like change. The new music lasted just four days, with the network restoring its former theme last night. @rhettrospective By popular demand Rhett, our viewers wanted ‘The Summit’ by John Williams to return. We listened. When news is such an integral brand to a network, this kind of blunder should have been avoided. But tinkering is afoot with Seven News as it reacts to Nine’s bold move to a one hour bulletin. That’s despite Seven trialling extended news at 6pm before Nine last summer. Of late it has been airing 40 minute bulletins followed by 20 minutes of Today Tonight stories. Watching news presenters segue from one to the other without as much as a “thanks for watching” is a deliberate move in the hope that viewers won’t switch off. It shows a lack of faith in the product. Tabloid stories or not, TT has actually been a solid primetime brand for Seven for years. TV Tonight understands the directive to avoid a clear sign-off -and the decree to run for 40 minutes- is coming from the very top, and is frustrating both news bosses and those working in Seven newsrooms. As this site tipped yesterday, Seven will also extend its bulletin on Monday night, with a spokesperson indicating this would accommodate the colour of Australia Day. 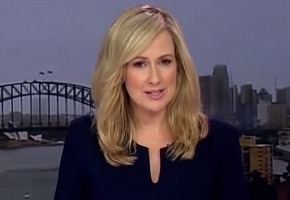 As Fairfax notes, TT returns on Tuesday (at 6:30 or 6:40 is unclear) and is already running promos for a world exclusive with Savanna Todd, now 20, who grew up to discover “her mother was her kidnapper.” Next week it will again be presented by Nick Etchells from Sydney, after the desk was relocated from Melbourne. If Seven’s strategy in keeping its cards close to its chest is to try and throw off the opposition, then it’s a risky move. While Seven is claiming flexibility with its hour, viewers like reliability and can smell indecision. Lately they can’t even work out when tomorrow’s weather will run. For some 40 years it’s been 6:25pm. Now it’s at the whim of management. The sooner Seven locks in its 6-7pm hour with programmes, start times, hosts, cities and theme music the better off they -and we- will be. I cant see what was wrong with the new theme music. nothing can stay the same forever. They can use the theme from The Muppet Show for all I care. Just give us some proper news and get rid of the saccharin and trivia. Theme music much better now it’s been fixed. As an aside, has anyone noticed the excellent reader of ABC News Victoria this weekend?. She is a great find. And I have to say Aunty’s News is much easier to watch than Seven’s lately. DirtyDigger: I have a Search function that is pretty comprehensive. Or just use show Tags and it will come up pretty quickly. I’ve always tried to make the site as user-friendly as possible. Thx. Hi David, I never heard the now dumped “new” theme, can you get a copy so we can hear how bad it was? Also maybe a TVTonight poll…was it pulled too soon ? That new theme was so bland they may as well not have had one at all. What were they thinking? Sorry David about missing that line. But the news boss is responsible for a lot of stuff that is wrong with 7 news to the moment. Seven News needs a major overhaul starting from the man at the top. New graphics in a red, white and black look to match the network (a bit like when they launched the 4pm News with that white globe behind Matt and Mel in that promo), a remix of The Mission theme to make it more relevant to 2014 and a decision on Today Tonight asap (i’d like to see it axed). Its pretty embarrassing if you ask me. Get your act together Seven. Seven really annoys me. I have always watched 7 News and then switch to The Project at 6.30. 7 are really doing a great job at making loyal viewers go elsewhere. When you mess with the news you mess with the viewer as well. Smart move 7. Thank goodness they changed the theme back! I first noticed when I didn’t cringe during a news update. Why does a news bulletin even need theme music? My comments may seem ultra critical at times, but my aim is always in pursuit of a change in attitudes by a couple of offending networks to stop giving viewers the impression( my conciliatory way of asking, to stop treating us like s–t) we are only necessary evils,getting the way of some executive/high profile hosts egos, and interfering with network agendas and priorities. I don’t like an hour news, I just like top stories with a sports hit at 6:20 and weather as you say David at 6:25. The state of 7 news at the moment is absolutely embarrassing the content is poor, presentation is poor and cheap. In my opinion the new news boss needs to go, he may have done good in qld but at a national level his decisions are poor. The 7 news brand needs a relaunch and something that they can be proud of. As for the theme, I’m glad ‘the mission’ has returned, changing it in the first place was a bad decision and one that only adds to the poor state in which 7 news is in at the moment. Fitzah you have missed a crucial line in the story about news bosses. The new music reminded me of that truly awful news theme used by the ABC in the 1990s/2000s where it just repeated the same monotonous small musical segment over and over during the closing titles before ending. Like it or not, a news theme plays a large part in forming public perceptions of the bulletins and when you get it wrong it can harm your network’s image for a very long time (as I’ve illustrated in this post). Are Network Seven’s chickens coming home to roost, addicted to the daily servings of ” Arrogance” for sometime now, and unfortunately this “Arrogance” now seems to have metastasised into the networks DNA. Becoming fully exposed on Sunrise by ” Mr Two Bob Each Way David Koch ” whilst admonishing ‘Mamma Mia ‘ ( and rightly so, because Mamma Mia deserve every bit of grief they receive over their stupid, incorrect and under researched comments, which is a shame because they were aiming at the right target and network, but the Archer was addicted to a different/cheaper brand of “Arrogance”).Because the ” Arrogance” dished up by Network Seven is a much stronger strain, producing hallucinations of grandeur and ratings of “Your Playing With The Bib Boys” if that is not ” Arrogance” I do not know what is? 7 news don’t seem 2 know what they are doing, change is not good. I’m sure they will go for a one hour news service. They have 2 do something, 9 news in Melb is thrashing them even with them having the Australian Open. With all the changes at 7 news its making 9 news look more trusting. Memo Peter Mitchell- “By popular demand Rhett, our viewers wanted ‘The Summit’ by John Williams to return”. Isn’t it called “The Mission”? Perhaps it was all an iSnack2.0 type stunt. So much of it didn’t make sense. Changing the theme while keeping the same graphics that were made to fit the old theme?? There are so many fantastic modern news themes out there they picked an awful one. Sounded like a dag-campy superman theme. Thank you very much. The original music was the one I wanted. Everybody relies on sport snd weather at a particular time if they are doing chores or making dinner. Mess that up and you lose viewers permanently. Did many people complain that much that they changed it back. I think there’s always a tendency for negative reaction to something new – I thought the new theme was much better, but their overall format still poor. Seven should’ve done more market research before launching it – they’re looking messy now. I didn’t mind the new theme.